Pastor Posey graduated from Vanguard University in Costa Mesa, CA with a Bachelor of Arts degree in biblical studies in 1976. He later earned his Master of Arts in Christian Education at Talbot School of Theology, a graduate school of Biola University in La Mirada, CA, and earned his Doctor of Ministry there. For over 14 years, Doug served as a Teaching Pastor and Pastor of Adult Discipleship at Calvary Community Church in Westlake Village, CA. His calling and passion is to help others grow in their faith and understanding of God’s Word. Austin first came to Christ as a teenager upon hearing the Gospel at a summer camp in high school. Soon after, he discerned that he was called to ministry while earning a B.A. in Biblical and Theological Studies from Biola University. Since, he has served in Student Ministries for a decade teaching and discipling students. He is currently earning an M.Div. from the Master’s Seminary. After five years on staff at Living Oaks Church, Austin now serves as our Lead Pastor. He's passionate about the Gospel, the church, and good coffee! Born and raised in southern California, him, his wife, Sarah, and his daughter, Naomi, are glad to call Thousand Oaks and Living Oaks their home! Together, they love Jesus, family, travel, movies, art, coffee, and people! Greg and Vicki have been attending LOC for the last 8 years. Greg is a small group leader, works with the Hands and Feet ministry and volunteers countless hours working with facilities on upgrades & renovations in all of the buildings. Vicki is helping with the Children’s program on Sundays and is involved in special events raising funds for fostered youth. 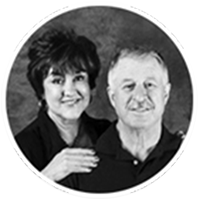 Both Tim & Debbie were fortunate to have been raised in strong, God-honoring Christian homes. After graduating from BIOLA, Tim entered the field of education in the Conejo Valley and had an impact for 40 years. With an appreciation for the ministry of LOC and its impact in the community, Tim believes that through the current ministries, small groups, and discipleship, LOC will have a greater impact on our community for Christ. Ryan and his wife committed their lives to Christ early in life. They were high school sweethearts and have been married for 15 years. Ryan graduated from UCLA and after working 10 years for a large telecommunications company, he made the decision to start a local financial planning business. Ryan and Hilary have been attending LOCC for the last 5 years. 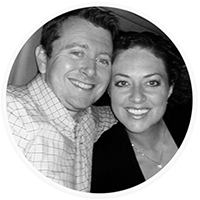 The Bennetts’ three children all love Jesus and Ryan and Hilary are youth ministry leaders. Ryan also advises the LOC staff for their retirement planning. He volunteers countless hours counselling staff and other members of the church concerning financial stewardship. Jeff was raised in a Christian home in Amarillo, Texas. He attended Truman State University, where he met his wife Rochelle and graduated with a B.S. in Finance. Jeff is in the financial services industry and is currently a Director of an international trading firm. Jeff and Rochelle have been married for 25 years and have two children currently attending college. 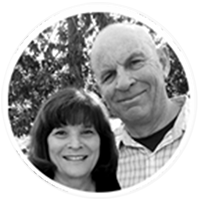 Their family began attending LOC in 2005 where Jeff is currently a Rooted facilitator and greeter while Rochelle is the director of Women’s Ministries.